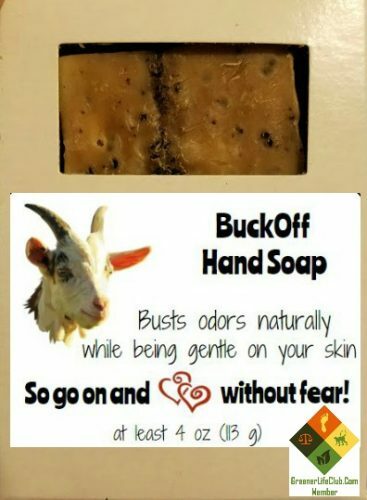 Short Product Description: Your skin will love this soap. The scent is a comforting sweet and toasty vanilla oatmeal fragrance with a pinch of cinnamon. Each bar is 3.6-4.0 ounces. 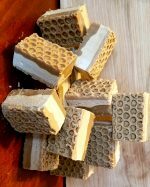 Your skin will love this soap. The scent is a comforting sweet and toasty vanilla oatmeal fragrance with a pinch of cinnamon. Each bar is 3.6-4.0 ounces. Ingredients: Goat Milk, Olive Oil, Coconut Oil, Avocado Oil, Rice Bran Oil, Shea Butter, Sweet Almond Oil, Castor Oil, Colloidal Oatmeal, Raw Honey, Sodium Lactate, Titanium Dioxide, Mica, Fragrance.